When you can't walk, glide! Promoting ways for the disabled community to remain moving and stay connected. 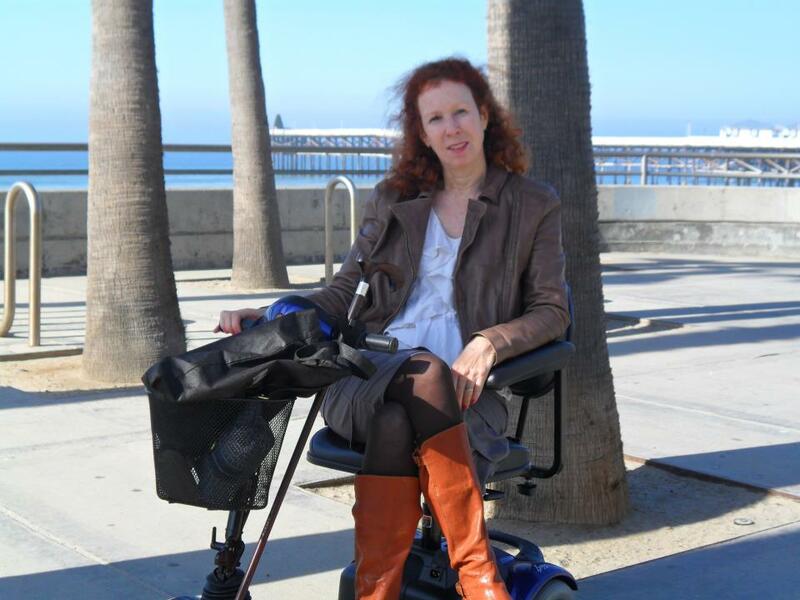 Working with an occupational therapist, you may be fitted for a power wheelchair. 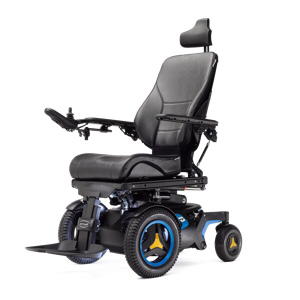 It is very important to get a good, experienced wheelchair technician who will work in conjunction with an OT to get a chair custom made to fit your body and abilities. After the fitting, The wheelchair vendor, Provided me with a loaner power wheelchair to use until my new one came in. It was our goal to get the new wheelchair ordered and received prior to the end of the year as we had met our insurance deductibles for the year. The cost of the new power chair billed to insurance (including Medicare and supplemental) is over $50,000. If your coinsurance requires you to pay a percentage, it can get quite costly. As my deductible was met, the cost was less than $200. I was off and rolling with the interim loaner chair. Over the next two years, slowly changes were made to the wheelchair to accommodate my weakening arms and hands. A bendable cupholder which could hold a cup with bendable straw near my mouth was added. Armrests that have a molded trough to keep my arms in place rather than falling off the outside or inside edge was added to give me more control on the joystick. A large flat pad was added for my hand on the non-joystick control arm rest. As my hands weekend, it became harder for me to maneuver my wheelchair. An attendant controller was added and mounted to the back of the wheelchair so that someone else could drive me in it especially when trying to maneuver up-and-down ramps and in and out of A mobility adapted van. So by summer of 2012, the Segway was getting less optimal for getting around and I purchased this Lynx-4 Mobility Scooter. It is a 4-wheel version with a very low clearance ( 1 inch or less). Due to the low clearance, this scooter is meant for indoor riding. I also purchased an Armstrong lift to be able to transport this scooter in my car. I am very pleased with the Armstrong lift and the ability to lift the scooter without effort and have it ride inside my car where it is protected from the elements and theft. I will post a video of me using this scooter and loading/unloading. I was able to do this myself until summer of 2013 where, when walking from the back to the front of the car, I fell. Therefore, I have given up loading it myself and now always ask for help. It doesn’t require strength, just the ability to walk. I love the added mobility this scooter has given me as I can ride for hours and not worry about getting off so I could sit down (as on the Segway). I also like NOT wearing a helmet! Over time, I found that I needed to purchase a second scooter for use outdoors. This scooter had a larger clearance (3 inches), allowing me to drive over cracks in the sidewalk or small speedbump’s. The new scooter was built by PRide and called the GO-Go sport.